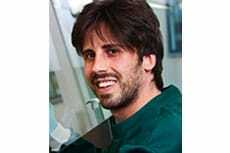 In the August 27th edition of Tissue Engineering, Giuseppe de Peppo, PhD, a NYSCF Postdoctoral Research Fellow, published results of a study from his graduate work comparing two types of stem cells for bone tissue formation potential. Previously, human mesenchymal stem cells (hMSCs) had been shown to differentiate and proliferate into bone cell progenitors; yet, hMSCs are limited in ex vivo potential to homogenously proliferate and retain functionality for tissue engineering purposes. As an alternative, the researchers looked to human embryonic stem cell-derived mesodermal progenitors (hES-MPs). They cultured both types of stem cells in a type of bioreactor, and they found that hES-MPs result increased bone-like tissue formation. Consequently, hES-MPs may be a clinically relevant cell type for future tissue engineering endeavors.